May Blowout: Purchase Select RVs & Get a Husky Hitch or Denver Mattress Included! 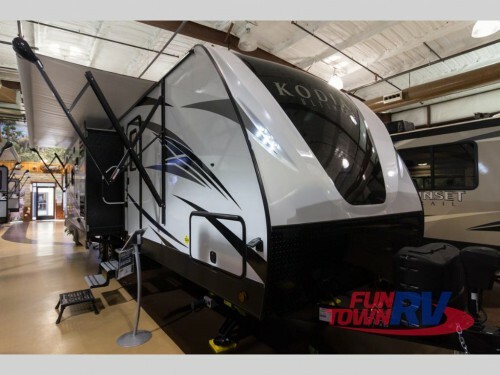 Check out the incredible deals you can get at the May Blowout here at Fun Town RV! Shop our full line of top brand RVs, and get your choice of a Husky Hitch or Denver mattress with every purchase. So you can start living the RVing lifestyle right. Take a look at a few of our amazing prices, and take home your very own camper today! Find amazing deals and a special gift at our May Blowout Sale! We have lots of travel trailers for sale at our blowout sale like this Dutchmen Kodiak Ultimate 291RESL. Priced at just $32,995, you can save almost $14,000 on this two slide floorplans. With convertible furniture and a queen master bed, you can sleep up to five people, and the spacious design will come complete with a full kitchen, bathroom, and living area with theater seats and the perfect view of the rear entertainment TV and fireplace. Save $1000s on our beautiful travel trailers! You will also find toy haulers for sale including the Cruiser Boss 4-13TB. Find savings over $35,700 on this triple slide floorplan that will have enough space to sleep up to nine people. With dual sofas, an electric queen bed, loft bed, and king master bed, you will have more room for everything and everyone. Plus, with the exterior ramp party deck, you can enjoy more time outdoors on your toys or just relaxing. Find luxury features in every model! 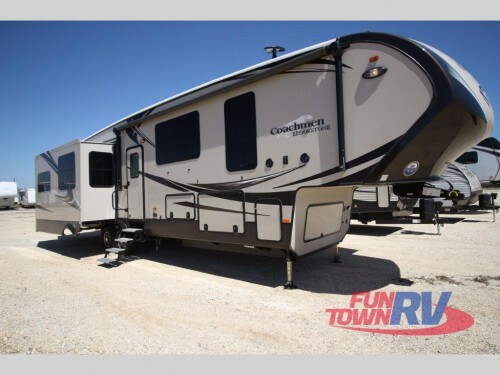 Luxury fifth wheels are the most popular RV type, and you can save over $21,400 on a Coachmen Brookstone 395RL right now! The quad slide model has everything you need for luxury on the road. 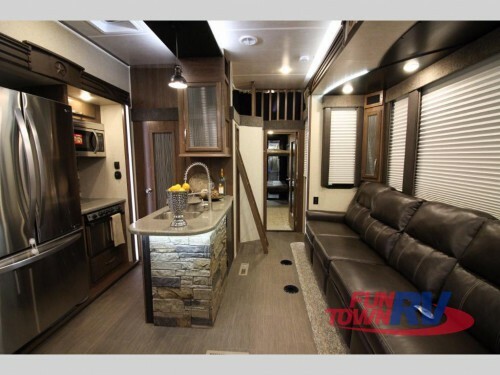 With the washer and dryer prep area and all stainless steel appliances, there will be more comfort throughout to make long or short term RVing trips a breeze! Take home a luxury fifth wheel today! These are many select RVs available during our May Blowout and get your choice of a Husky Hitch or Denver mattress with every purchase. To find out more, contact us or come by any of our locations, and get in on the deals. And then, choose between a Husky Hitch and Denver mattress and have everything need to hit the open road!